For the third consecutive time, a special issue in the open access zoological journal ZooKeys is hosting a collection of the research findings presented at the International Congress of Myriapodology. The contemporary research on myriapods – millipedes, centipedes and their relatives – presented at the 17th International Congress of Myriapodology, held in July 2017 in Krabi, Thailand, and organised by Prof. Somsak Panha, Chulalongkorn University, Bangkok, contains 13 novel research papers by 35 authors from ten countries, namely Austria, Australia, Brazil, China, Czech Republic, Georgia, Germany, Russia, Taiwan and the UK. A dedicated Editorial written by zoologists Prof. Pavel Stoev, National Museum of Natural History, Bulgaria, and Dr. Gregory Edgecombe, The Natural History Museum, London, United Kingdom, is also published along the collection. Amongst the research comprising the collection, there is a study using molecular phylogenetics to investigate the diversity and biogeography of the well-known European Black Pill Millipede, and the taxonomy of its subspecies and colour morphs. Another paper describes the online platform VIRMISCO (Virtual Microscope Slide Collection), which allows its users to access an archive of microscope slides of important type specimens. A total of nine new myriapod species from East Asia and Australia are also announced in the collection, including two papers by a team from Hengshui University, describing two previously unknown stone centipedes discovered in the leaf litter or under rocks in conifer forests in China. 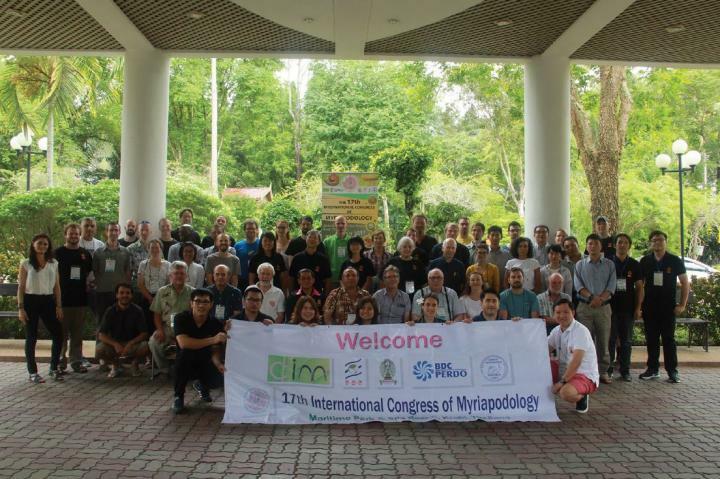 "We are delighted to again have ZooKeys as the forum for publication of our Congress, this one being the first time the global community of myriapod researchers has met in Asia", says co-editor Edgecombe, President of the Centre International de Myriapodologie.